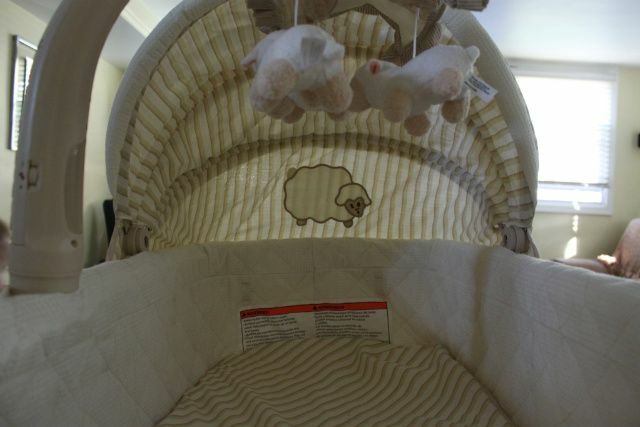 Here are some pictures of my new bassinet! 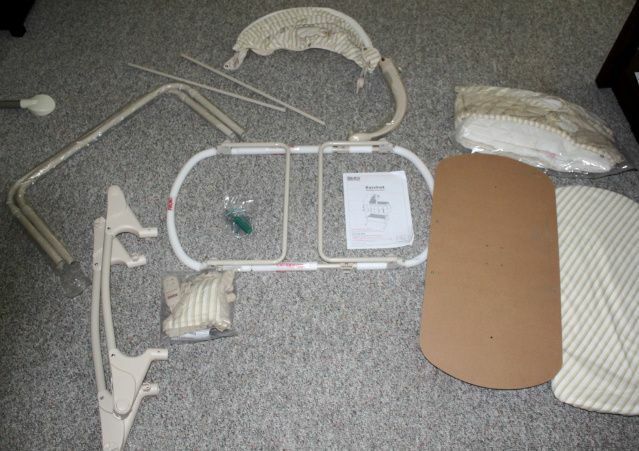 As you can see, it came in a few pieces that I had to put together. I love assembling things! I'm the resident assembler at our home. Must be a carpenter's daughter thing! (At least that's what my hubby tells me as he happily passes all assembly jobs my way). 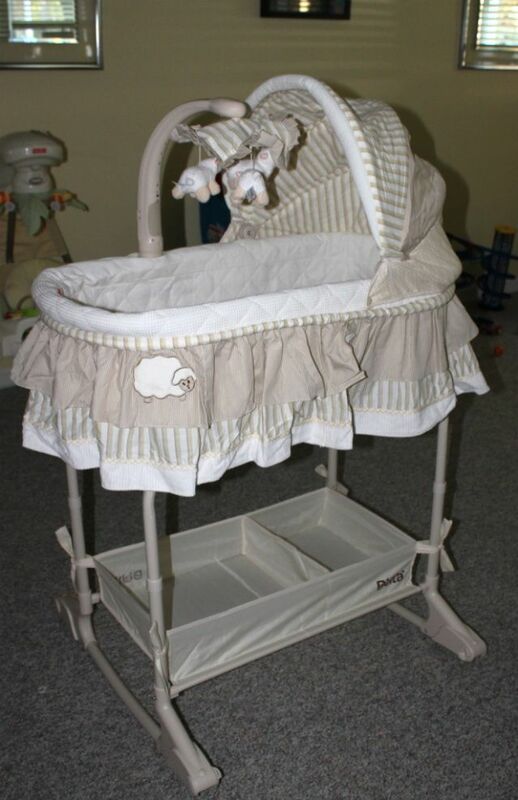 I found this bassinet at Buy Buy Baby. It was on sale for under $100 and then I had a save 20% coupon that I used as well. I think by the end of it I only paid $72! The only set back was it was on back order and I had to wait 4 weeks for it to arrive. No biggie! It has the storage underneath that I love, but it also has a few fetchers the last bassinet did not have. This one not only has a mobile, flashing lights, a night light, and music, it also has a vibrating mattress as well! And hello..... it also came with a remote! This was an easy sale as far as I'm concerned! This is going to be a save item for sure! All of the other thing that my kids grow out of we will now be handing down or selling because we are done having babies. 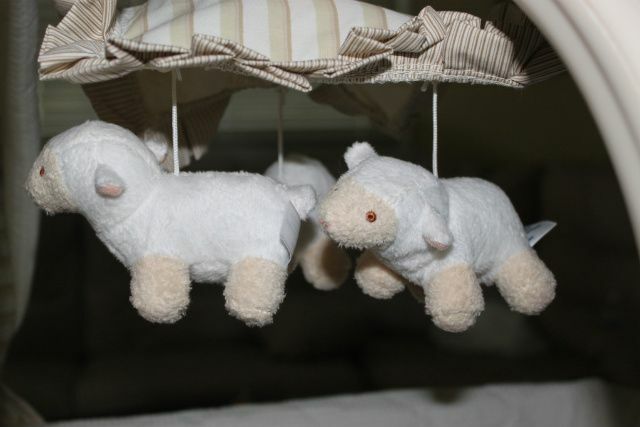 I just like the idea of passing down the bassinet. Even if it's only for a few kids! ;) My youngest brother, my sister-in-law, my close friends, and some day (many years from now) maybe even my little sister will use it! Or not! Who knows! ;) It just seems like such a silly item to buy for a few months use! 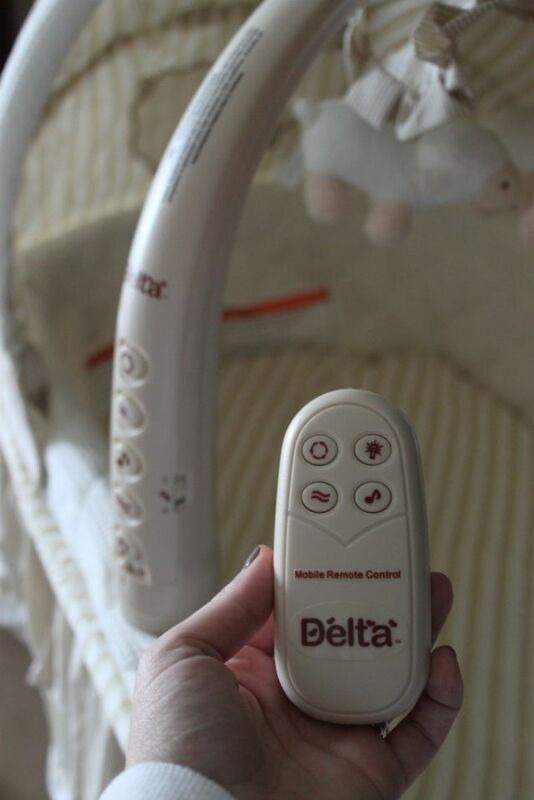 What do/did you use for the bassinet? Hand-me-down or new? Love the new bassinet!!! So cute! You got a great deal! I love nothing more than a great bargain!!! Awww...It fits right in with your son's bff, Lamby.